January 15, 2019 – An open letter of Metropolitan Luke of Zaporozhye and Melitopol to Vladimir Gryanistom, the chairman of Novonikolaevskaya Regional State Administration, has been published on the official website of Ukrainian Orthodox Church’s (Moscow Patriarchate)1 Zaporozhye Diocese. The metropolitan states that the chairman and his administration coerce the priests of the Ukrainian Orthodox Church’s Zaporozhye Diocese and requires to stop that. The priests are being pressured by persuasion and intimidation to leave the Ukrainian Orthodox Church (Moscow Patriarchate) for the newly established religious organization. 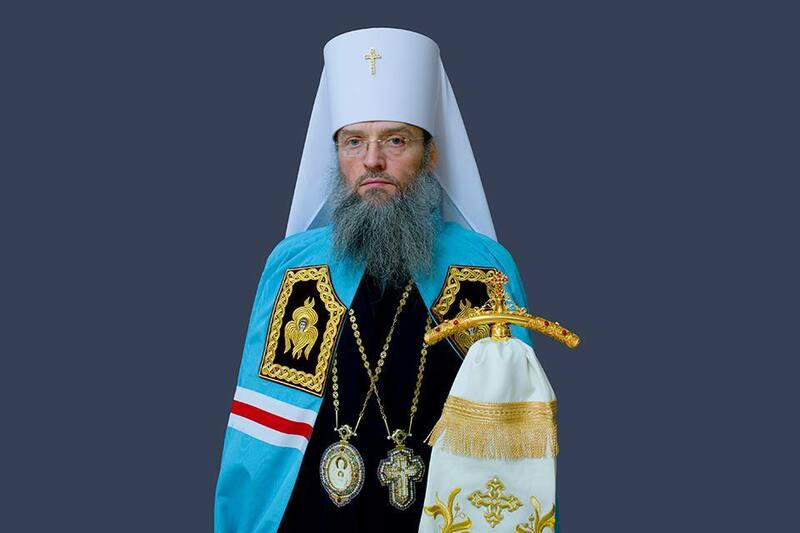 Metropolitan Luka emphasizes that these actions are against the Constitution of Ukraine. “Let me quote you Article 35 of the Constitution of Ukraine, which states that “Everyone has the right to freedom of thought and religion … The Church and religious organizations in Ukraine are separated from the state … No religion can be recognized by the state as compulsory. Your actions to coerce, by persuasion and intimidation, the clergy of Novonikolayevka deanery of the Ukrainian Orthodox Church’s Zaporozhye Diocese, to make them relapse into schism through the treachery of the Mother Church – the Ukrainian Orthodox Church, which bore them as priests, completely contradict this article, which is a violation of the oath of the public servant,” says metropolitan Luka in the open letter. Jan. 12, 2019 – Commentary of Archbishop Feodosiy, Chairman of the Church Court of the Kiev Diocese (Orthodox Church – Moscow Patriarchate), about the State interference into Church Affairs. The Ukrainian Orthodox Church (Moscow Patriarchate) is an autonomous Orthodox Church with headquarters in Kiev, Ukraine. It is spiritually and canonically linked with the Russian Orthodox Church.